Court, as well as the United States Circuit Courts of Appeals for the 4th and 6th Circuits. Judge Ayoub was raised in Grand Rapids and attended Ottawa Hills High School. He received his BA from Western Michigan University, and a law degree from Michigan State University College of Law. Judge Ayoub’s professional affiliations include the State Bar of Michigan Civil Procedure & Courts Committee, the Michigan Supreme Court Advocates Guild, and the Grand Rapids Bar Association. 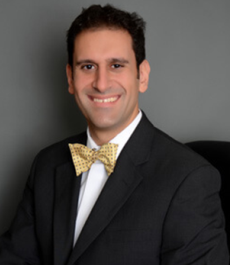 Off of the bench, Judge Ayoub enjoys playing music and spending time with his family. He is a life-long member of St. Nicholas Antiochian Orthodox Church, where he serves as “First-Chanter”.